Previously known as “Building M,” the new 135,000 sf Foglia Foundation Health and Recreation Center at William Rainey Harper College represents a successful collaboration among the college, Northwest Community Healthcare (NCH) and Palatine Park District in transforming the “loneliest building on campus” into an inviting and engaging hub for wellness, recreation, health education, and athletics. 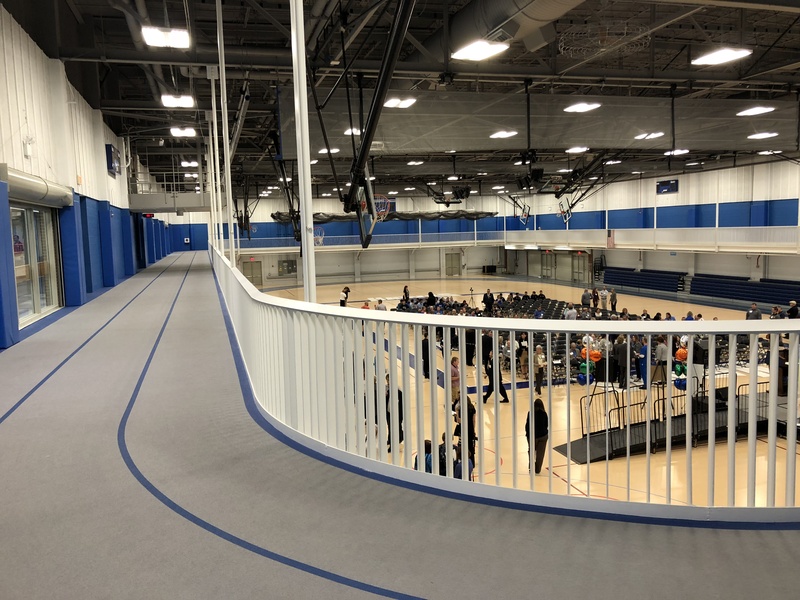 Featuring a natatorium, 10,000 sf fitness center, gymnasium, classrooms, multipurpose spaces, and full-service health clinic, the facility serves as a resource for students, staff and community members alike. 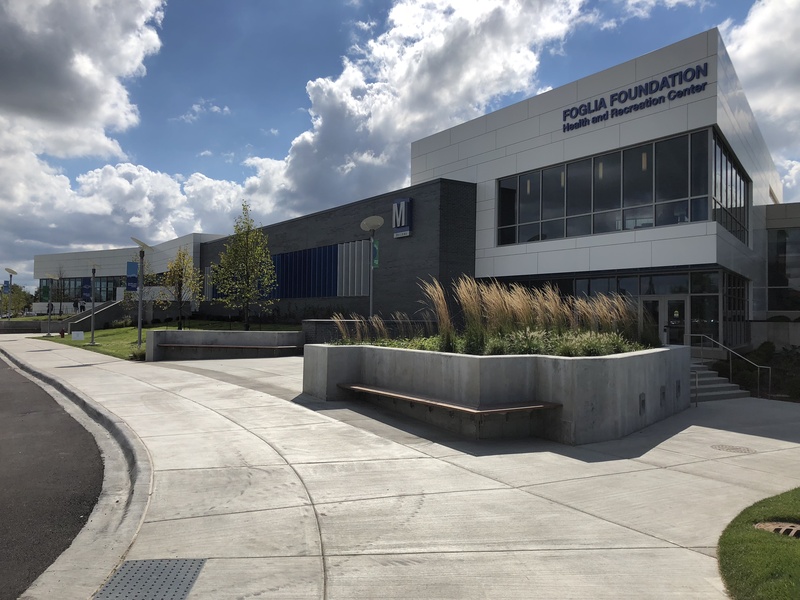 CannonDesign worked closely with students and staff of Harper College, NCH, and the Palatine Park District (the latter two of which will run the wellness clinic and oversee pool operations) through focus groups and steering committee meetings to create a new identity for the building. 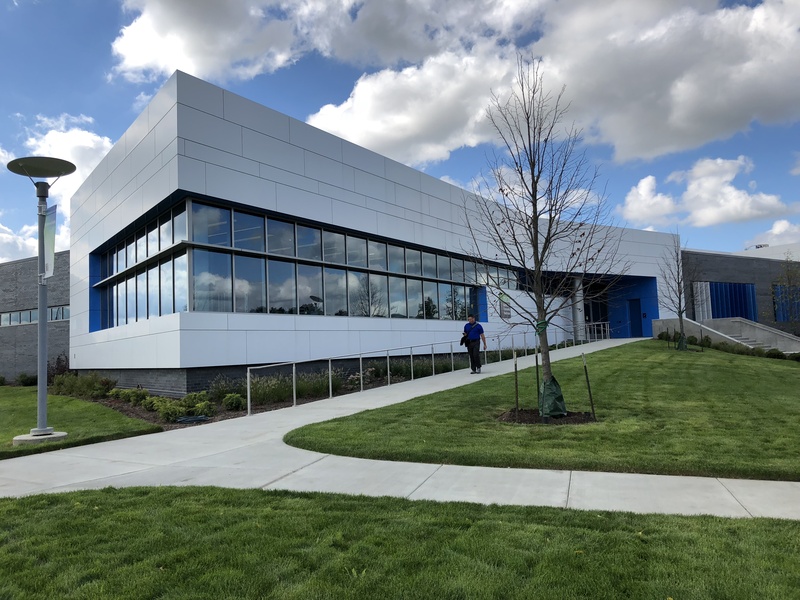 Exterior features include “Harper Blue” color accents that tie into interior elements, and a more open and welcoming entryway to encourage students and visitors to check out the facility. 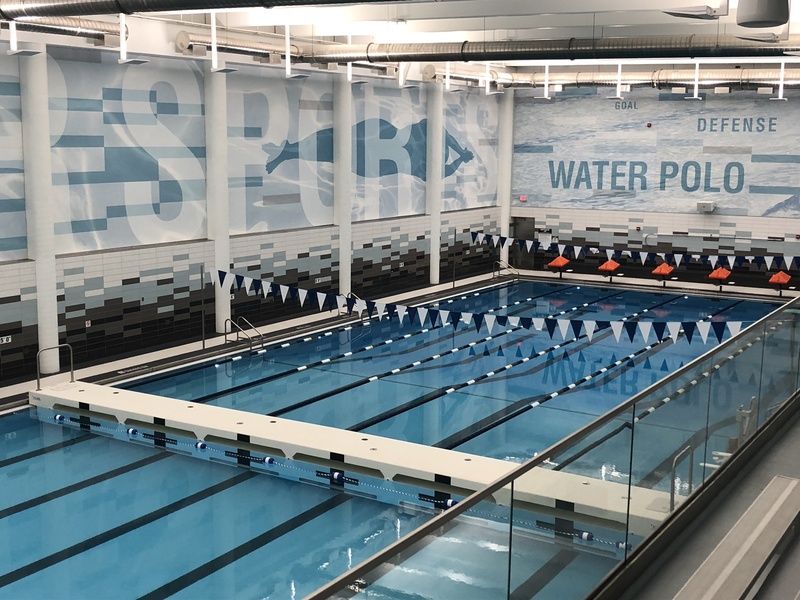 The aquatic space – which previously used a brown color scheme with heavily textured glazed tile walls – is now a brightly lit, energetic natatorium, complete with graphics reflecting water themes. Stainless steel, spiral duct work, a dedicated dehumidification air handling unit, and integrated exhaust fans provide temperature control and ventilation. Double-seal doors and negative pressurization retain any chlorine or chemical odors. 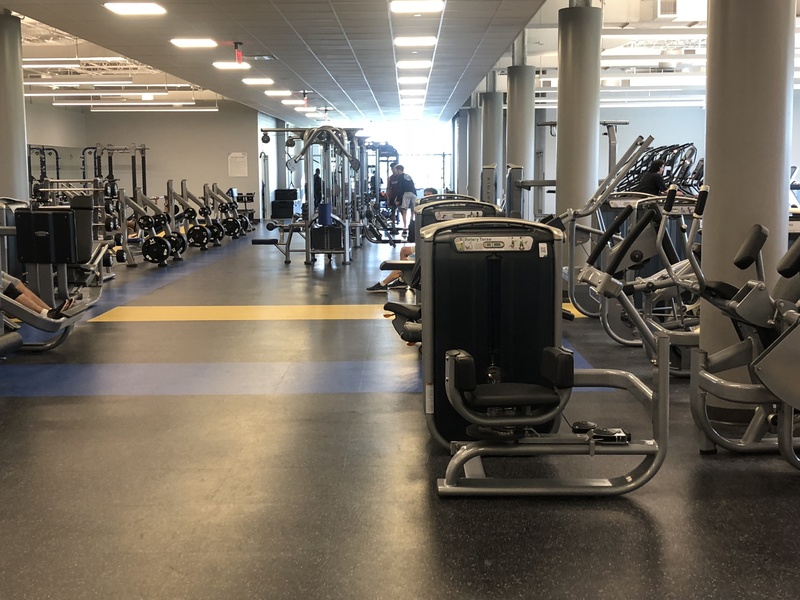 The old double-height, underutilized racquetball and squash courts were infilled and transformed into a new fitness center, complete with Olympic-level machines and plenty of natural light. The gymnasium offers open recreation space and a new suspended jogging track. 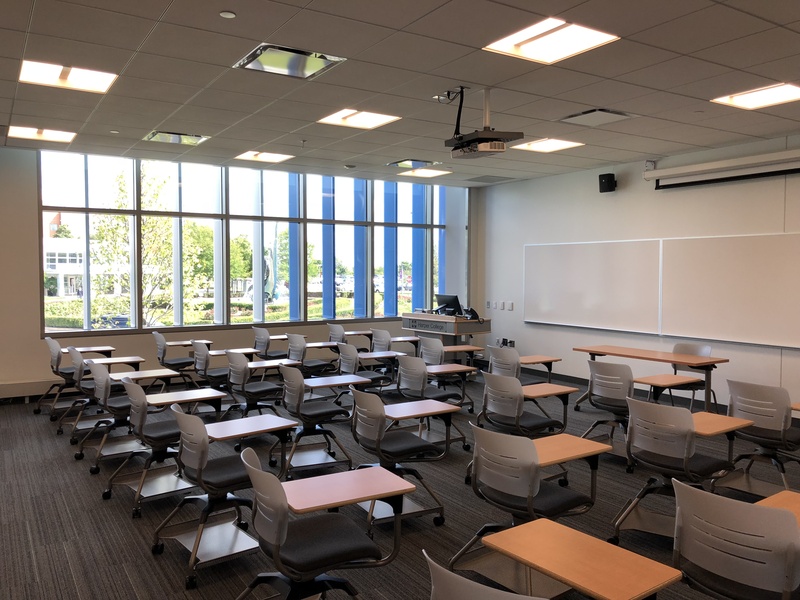 Classrooms incorporate large windows with color-accented sunshades that face the entry to campus and other academic buildings, providing shade from the eastern morning sun while also providing visual security for students and staff. The final highlight of the facility is a full-service clinic designed specifically for Northwest Community Healthcare. The clinic includes an x-ray suite, 12 exam rooms, administrative offices for all staff, a lab with testing facilities, and a physical therapy space with four treatment rooms, all under one roof.